Matson, Inc. (NYSE: MATX), a leading U.S. carrier in the Pacific, and Philly Shipyard, Inc. (PSI), the wholly-owned U.S. subsidiary of Philly Shipyard ASA (Oslo: PHLY) christened the second of two Aloha Class containerships built for Matson in a ceremony at Philly Shipyard on Saturday, March 9. The new vessel, named 'Kaimana Hila,' is the sister ship to 'Daniel K. Inouye,' which was christened in June and went into service in November of 2018. "Kaimana Hila" is a Hawaiian transliteration for "Diamond Head," the name of Hawaii's iconic landmark crater near Waikiki Beach. 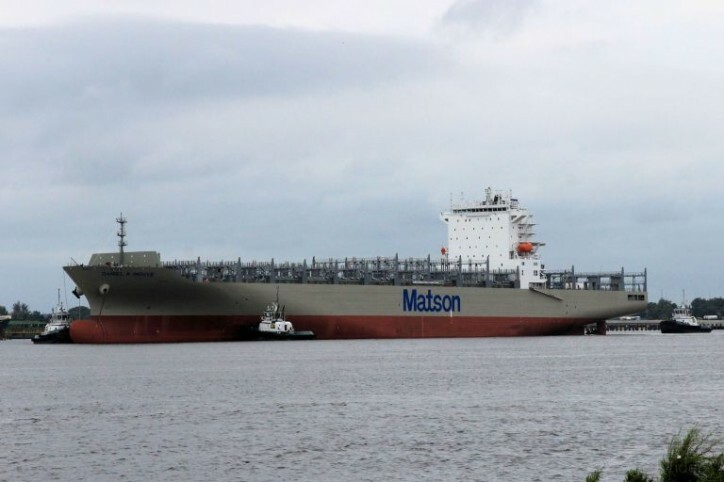 The two ships were built for Honolulu-based Matson by Philly Shipyard at a total cost of approximately $418 million for the pair, and are the first of four new vessels that Matson will put into its Hawaii service during the next 18 months. "This is a proud day for everyone at Matson," said Matt Cox, Matson's chairman and chief executive officer, at the shipyard ceremony. "Daniel K. Inouye has performed well in its first four months of service, and we are excited to have Kaimana Hila joining it soon. These new vessels herald the beginning of a new era in our Hawaii service and will allow us to serve our customers better than ever for decades to come." Steinar Nerbovik, Philly Shipyard President and CEO, said, "I'd like to extend my gratitude to Matson. Construction of the Kaimana Hila, and its earlier sister ship, has provided good skilled work for nearly 1,500 people at Philly Shipyard over the last three years. We are immensely proud to provide another quality and safe vessel that Matson can be proud of for years to come." 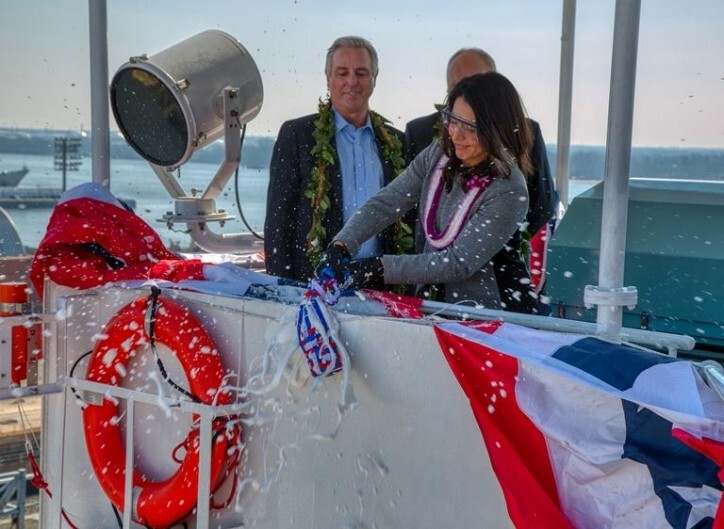 Matson invited U.S. Congresswoman Tulsi Gabbard of Hawaii to officially christen the vessel by breaking a ceremonial bottle of champagne against the ship's navigation bridge super-structure. The ceremony was attended by approximately 70 representatives of Matson and PSI. Weighing in at over 51,400 metric tons, the 850-foot long and 3,600 TEU* capacity Kaimana Hila and Daniel K. Inouye are Matson's largest ships and the largest containerships ever constructed in the U.S. They are also Matson's fastest vessels, with a top speed of nearly 24 knots, helping ensure on-time deliveries in Hawaii from Matson's three West Coast terminals in Seattle, Oakland and Long Beach. In addition, both Aloha Class vessels incorporate the latest environmentally friendly technology, including dual fuel engines that can be adapted to use liquefied natural gas (LNG), double hull fuel tanks, fresh water ballast systems and a more fuel efficient hull design.